Agnes Von Weiss is a 12.5-inch fully articulated doll with full rooted hair and hand-applied lashes. Her thick, luscious raven hair is styled to perfection in a perfectly controlled curl hairstyle. Agnes comes dressed in a dramatic one-piece outfit that delicately drapes over each of her feminine curves. 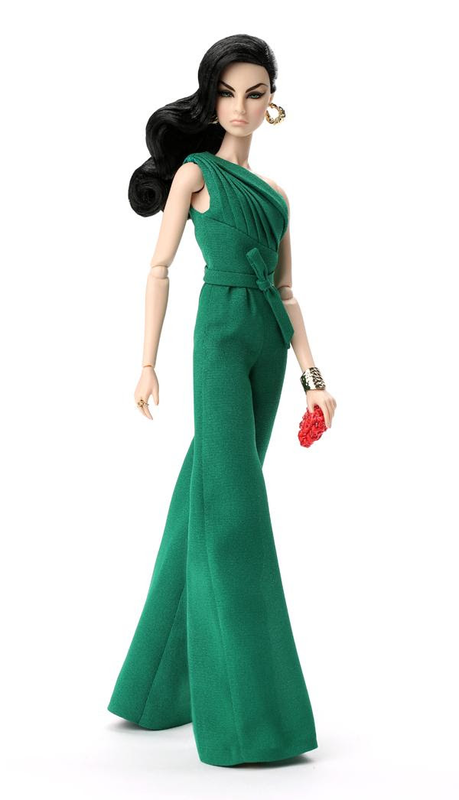 Doll includes purse, jewelry, high-heeled shoes and accessories. A doll stand and a certificate of authenticity are included.